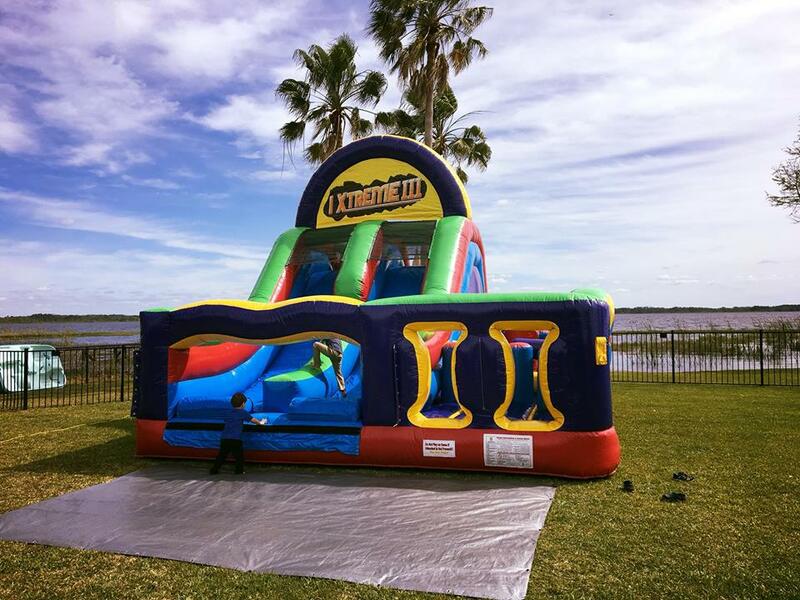 Inflatable Slide Rental, Tent Rental, Water Slide Rental and Much More At Bounce House Rentals Orlando! Orlando Bounce House Rentals. We are a company that provides fun rentals to improve any party. Our business is based in Orlando, Florida. When you choose us, backyards can be made into ideal party venues with our bounce house rentals. We have different types of bounce houses for different event themes. Our inflatables are clean and unique. Orlando Bounce House rentals can ensure you that your party leaves a lasting impression on party goers. There are various sizes to choose from depending on the age range of kids and the size of the party. We offer a variety of choices to accommodate different events and parties. 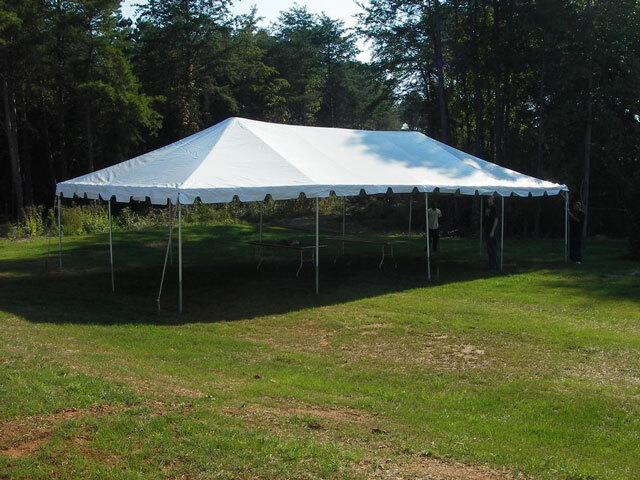 Also, our rentals are made of a good quality material that will hold up the entire party. Compared to the competition, we have an array of rentals that can suit several events. Due to our dedication, Orlando Bounce House Rentals can be the highlight of any party. Orlando Bounce House Rentals can meet the needs of numerous party themes and our service is exceptional. Which is why we are the best bounce house rental company in Orland, Florida. A bounce house is a perfect addition to any party or event. We provide some of the best bounce house rentals in Orlando that they have to offer. Our bounce houses are made of high-quality material. We provide bounce house rentals at affordable prices. Which is why we are a great choice when it comes to choosing a bounce house rental company in Orlando. Our bounce house rentals are great from the beginning to the end of your party. We provide the tools you need to ensure that your kid's parties are memorable. We offer the best products, with the best services at reasonable prices. Which means we outperform any bounce house rentals Orlando may have. Orlando Bounce House Rentals can ensure that you have excellent customer service with our appealing designs. Implementing a bounce house can make your party much enjoyable. Kids enjoy playing inside our bounce houses as much as they enjoy the visual. Which is why we have everything our customers need to make their backyard the best destination for an event. Next time you are considering planning a party, Orlando Bounce House Rentals can give your event the fun it needs to make the kids smile. Instead of renting a venue, bring the party anywhere. Your child's face will light up with excitement when they see a bounce house from Orlando Bounce House Rentals. Choose us in your quest for high quality, safe, and sanitized inflatables! We have a great selection for all ages. 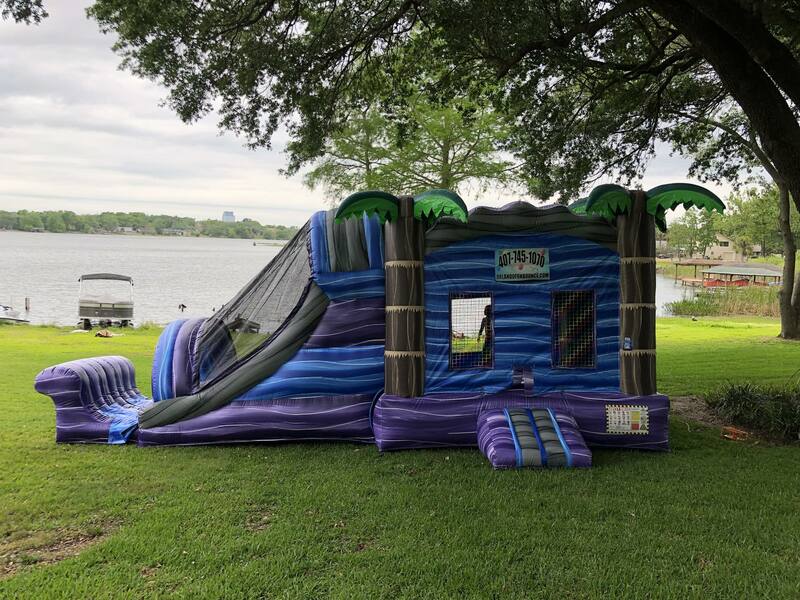 Whether you're seeking bounce house rentals in Orlando, inflatable slide rental, water slide rentals, bounce house combo rental, tent rental or tables and chairs in Orlando, We have you covered! We can accommodate anything! Regardless of age or group, we are delighted to enhance your event! With over five years of experience in the industry, we are confident our rental specialists will contribute to your success and we will surpass your expectations. Hablamos Espanol!! Making an event or party reservation on OrlandoFunBounce is so easy and fast, you'll have everything you need to make you the next party hero in a snap! 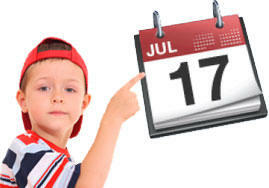 Just use the "get Started Here" button below and enter your event date and times. Then as you browse through the website you will be presented with all the awesome attractions available on your selected date. When you find items you would like to reserve, just click the "Add to Cart" button located throughout the site and on every product page. When your finished just follow the checkout prompts. It's as easy as One, two three! Let's get this party started now! Our Xtreme Fun Run Obstacle Course brings the challenge to your next event. Race through this amazing colorful unit, under and over pop outs and tunnels, then climb up a rock wall and make you way down the double slides. Bring the excitement to your next event with this fan favorite. 60 ft from entrance to exit!!! Check out Orlando Bounce House Rentals available for your next event. Check out Orlando Dry Combo Rentals available for your next event. Check out Orlando Wet Combo Rentals available for your next event. 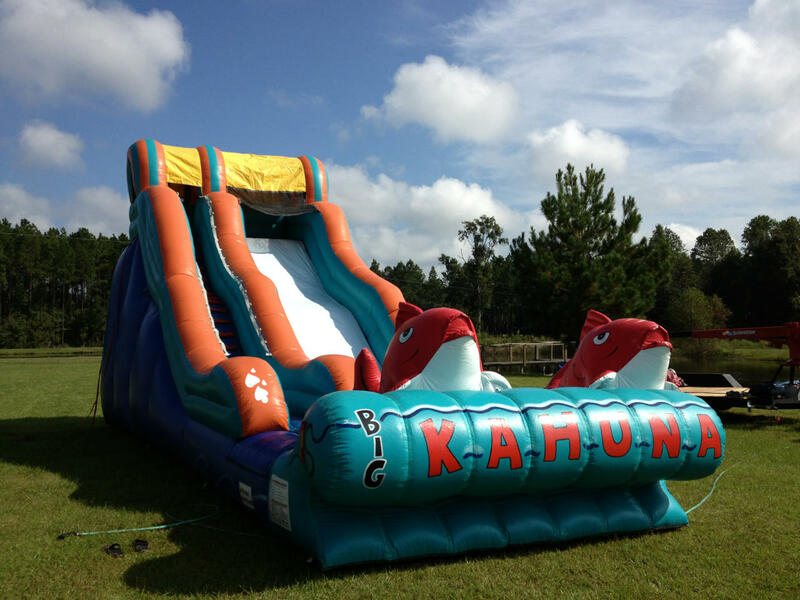 Check out Orlando Dry Slide Rental available for your next event. Check out Orlando Water Slide Rentals available for your next event. Check out Orlando Obstacle Course Rentals available for your next event. 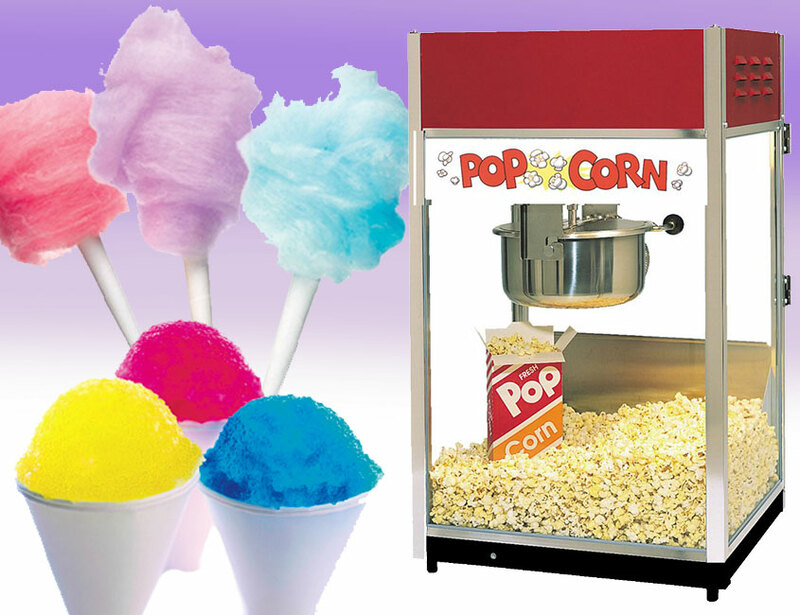 Check out Orlando Concession Machines Rentals available for your next event. Check out Orlando Tent Rentals available for your next event. 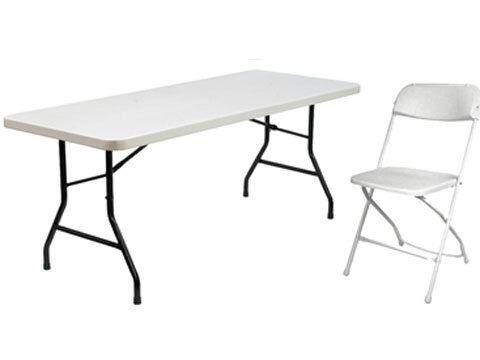 Check out Orlando Tables & Chairs Rentals available for your next event. 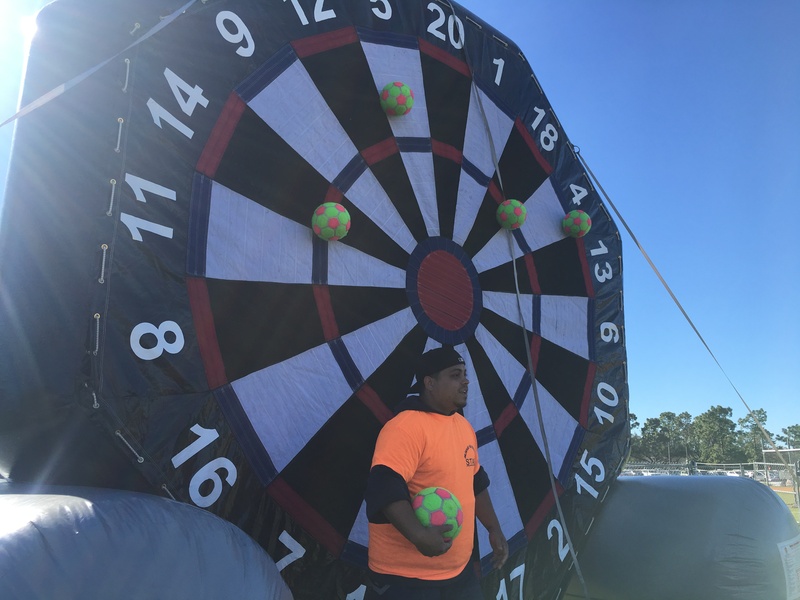 Check out Orlando Interactive Game Rentals available for your next event. Check out Orlando Party Packages available for your next event. 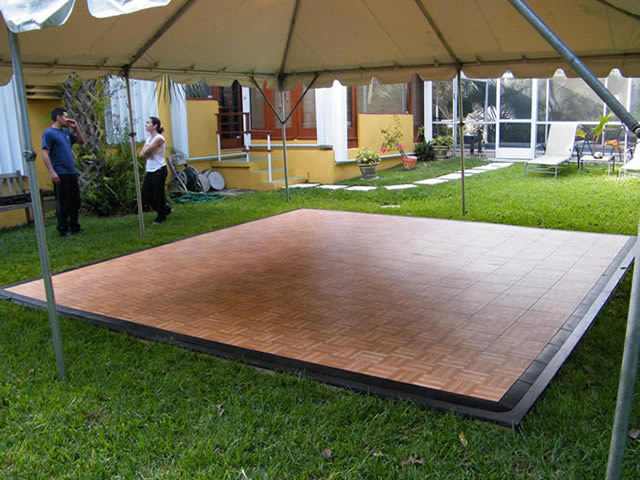 Check out Orlando Dance Floor Rentals available for your next event. Maybe You Need The Big Kahuna! That might seem like a loaded question, but when you have the responsibility of party plans for the young and restless, you'll know what were talking about. The Big Kahuna combo is the best of kids bounce houses, the perfect choice for boys or girls and comes loaded with fun for the whole day. Checkout our video. You maybe ready to kick off your shoes and jump inside for some fun yourself. Kids always get the coolest stuff... Thanks to you! We appreciate your time and interest in OrlandoFunBounce.com. Let us know if we can be of assistance. 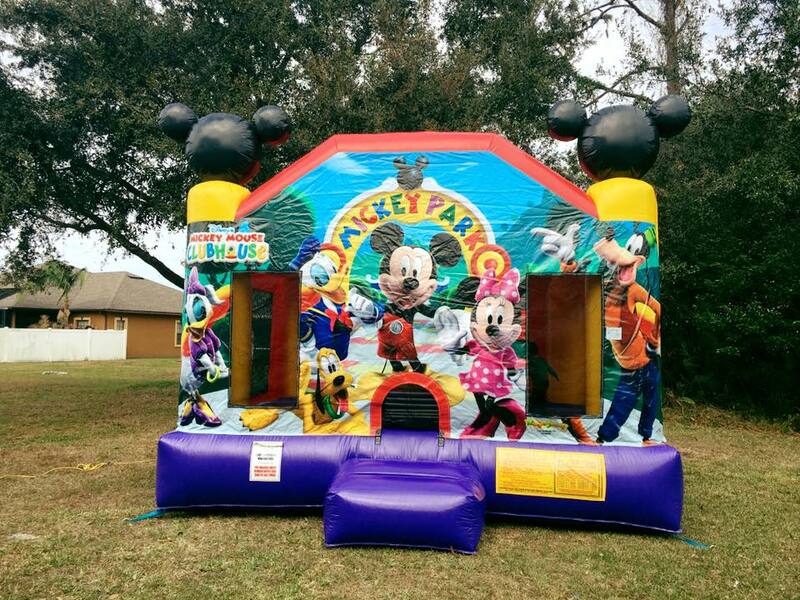 Need a bounce house rental in Orlando ( Winter Park, Oviedo, Union Park, Bithlo, Christmas, Conway) or nearby areas? You are in Luck! Orlando Bounce House Rentals delivers to all these areas and we have a network of vendors in case we can't service you we can get you some one that can. We service all types of events including Birthday Party Rentals, Special Events Rentals, Carnival Rentals, Corporate Event Rentals, Wedding Event Rentals. We pride ourselves on having the cleanest Inflatable Bouncer House Rentals on the market. Every one calls them something different like Bounce House Rental, Moonwalk Rental, Jumper Rental, Bouncer Rental, Inflatable Castles Rental and Kids Party Inflatable Rental and we call them FUN BOUNCERS! We have a wide selection for you to choose from in Orlando, FL and surrounding areas. 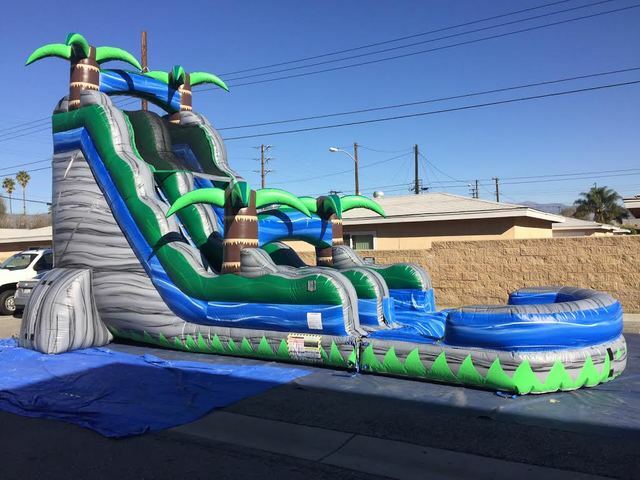 We have available for your next event Inflatable Bounce Houses, Inflatable Water Slides, Inflatable Slides, Chairs and Tables, Concessions, party rentals including: Event Party Tents, obstacle courses, sno kones, cotton candy, popcorn machines and interactive games. Go ahead and get this party started! Call us at 407-745-1070 or start your reservation online and we will take care of the rest. We promise not to disappoint you in fact we promise you will be very happy with our professional staff from start to finish. We Cover all areas of Entertainment Party Rental so if you don't see something your looking for give us a call and we will locate it for you. We are Family Owned and operated Party Rental Company in Orlando, FL and we are fully Insured and Licensed. At Orlando Fun Bounce, we keep the safety of our equipment in mind with every bounce house, tent, table, chair, and water slide we offer. A lot of companies use cheap, off the shelf cleaning products... but not us. 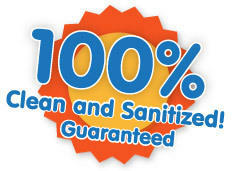 We use hospital grade cleaners that are hypo-allergenic, non-toxic, and most importantly, effective. 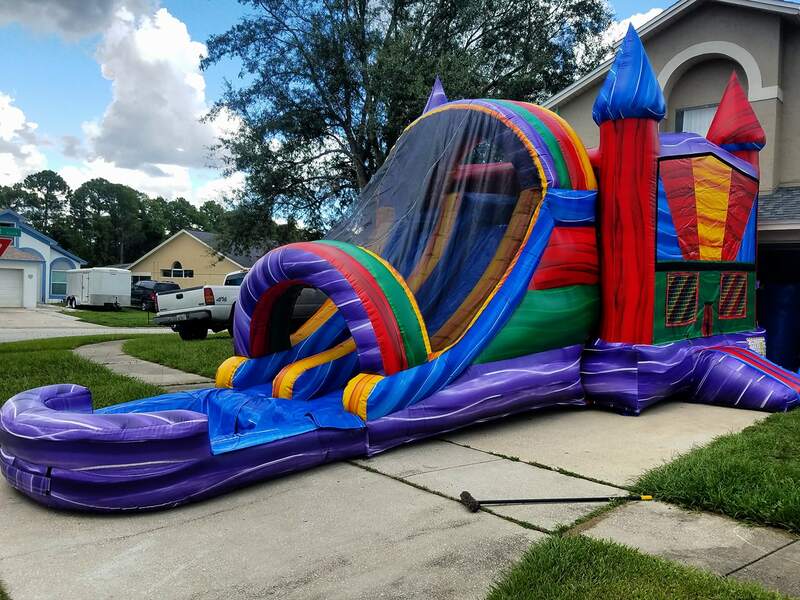 We meticulously clean our rentals before and after to ensure you get all of the fun you can have with a bounce house in Orlando, but without any worries about germs being spread. To find out why we are the best bounce house rental company in Orlando, click below to schedule your rental today! From day one our primary focus has been to provide high quality inflatables, making sure every single unit is spotless and sanitary. This is a business that prides itself in placing the customer first and surpassing their expectations. As our client, you are our priority!